It frequently happens that people die, and the only probate asset is a vehicle. 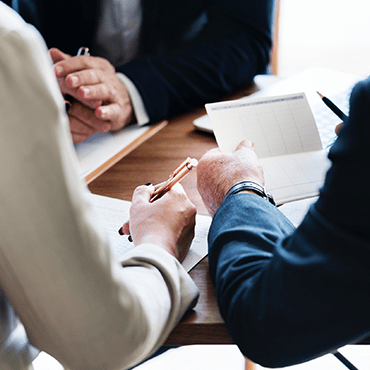 Many times, people die, and they either have no other substantive assets, or their other assets pass outside of the probate process, such as through a beneficiary designation. However, it is rare to see that a vehicle passes through such a method (although it is possible). Additionally, some people with extensive estate planning still have a vehicle in their name for insurance purposes. Over and over, I see that people follow the first piece of advice they are given by a layperson or by the person on the other side of the desk at the DMV. It is important to carefully consider your options on how to cause a lawful transfer of title. It is entirely possible that you will create numerous additional problems if you choose the wrong option. Following the wrong process could cost significantly more in court fees and other expenses that might be completely unnecessary. In some cases, I have seen it ultimately cost more than the value of the vehicle. Sometimes, choosing the wrong options opens the door to potential creditors to make claims that would not have otherwise been made. For example, in one case, additional people came forward and claimed to be children born out of wedlock of the deceased person who caused years of litigation to ensue. The alternatives to opening a full estate are expedited processes which range from 1 day to a few months, but a whole estate may take a year or more to administer and settle. Sometimes it is appropriate to open a regular estate and go through the entire probate process. Sometimes, it is not. 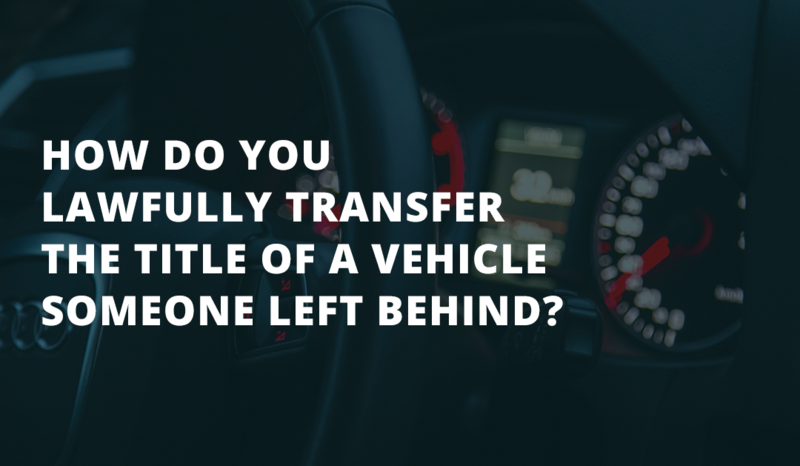 Too frequently, I have seen people go through a year-long probate process unnecessarily when they could have used an expedited method of transferring title to a vehicle. Depending on the total value of assets in someone’s estate, whether there is real estate involved, the extent to which there are creditors, and the relationships of the beneficiaries to the deceased person, there may be faster, easier, and cheaper options than going through a full estate. MVR-317 – This option allows you to transfer a vehicle without an estate administration at all. Summary Administration – This option allows you to transfer a vehicle with a single visit to the Court. Small Estate – This option allows you to handle the affairs of a decedent without going through a full administration. This process can take up to 90 days to complete. Year’s Allowance – This option allows you to transfer a vehicle with a single visit to the Court. Some of the above options have consequences, some are only available to certain types of relatives of the deceased person, and some of the options require the vehicle have less than a certain value. It is very important to speak with someone with experience about all of the affairs that need managing for the deceased person. An analysis can be done to determine which options would be appropriate and what consequences there might be for choosing the option. Contact Hopler, Wilms, & Hanna for Estate Administration Help Today.